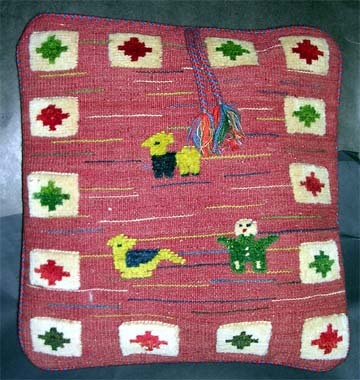 The word gabbeh essentially means "coarse" or "rough," but this should be taken as a reference to the rustic origins of this unique folk art form rather than as a derogatory term. 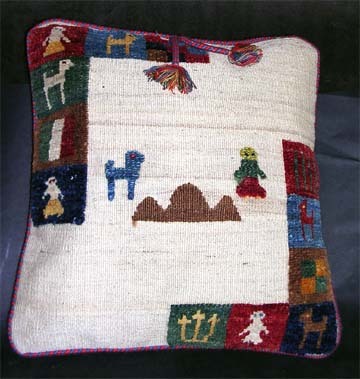 Most people think of gabbeh as rugs made by nomadic tribespeople. They were originally knotted for personal use. 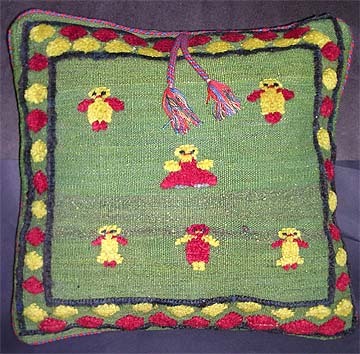 As anyone who has seen the film Gabbeh knows, the spirit and natural artisanship of the weavers are quite apparent in these personal interpretations of their lives in art. 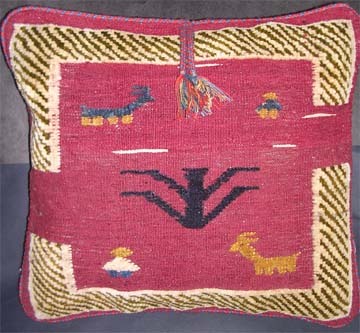 Long neglected as a poor cousin of the better-known form of Persian art, rugs, the gabbeh was introduced into Europe and North America in the 1980s. Since then, it has become respected as a high-quality art form in and of itself. 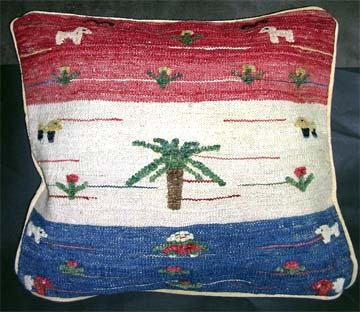 These decorative yet functional pillows are created in the same spirit of independence as gabbeh rugs. 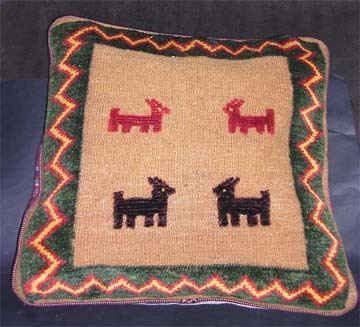 The themes presented reflect the pastoral existence of nomadic peoples and bring the spirit of survival and independence into the modern home. Click on a picture for item details.